If you are a blogger, you will likely be emailing a lot of other bloggers in order to do guest blogging or to exchange ideas. 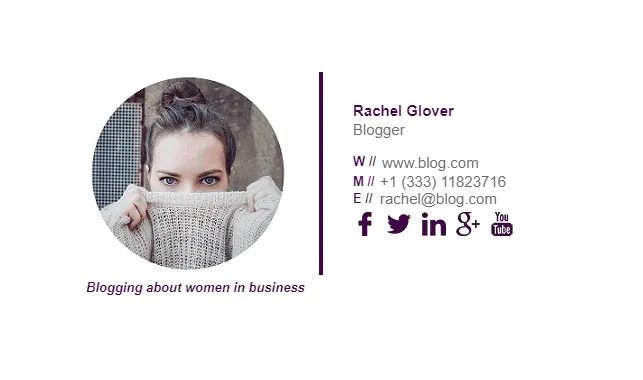 An email signature for a blogger is crucial, because that is how you spread your blogging material to readers and get a bigger audience. 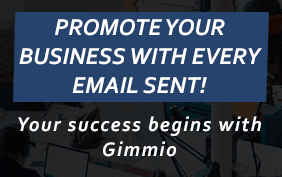 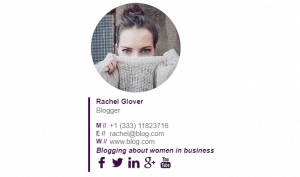 You don’t want to use a badly made email signature though, you want to use one that makes you look sophisticated and knowledgeable about the subject you blog about. Take a look at our blogger email signatures below. 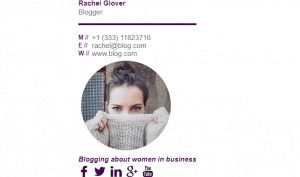 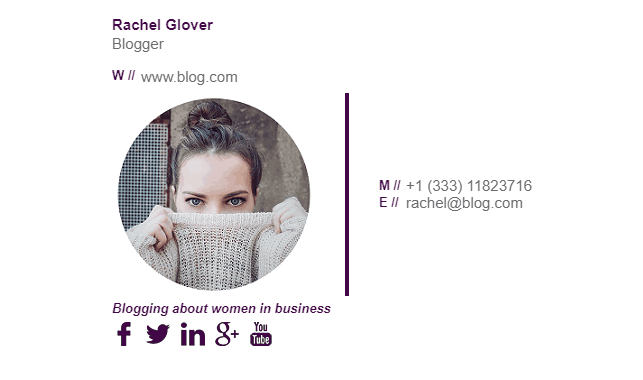 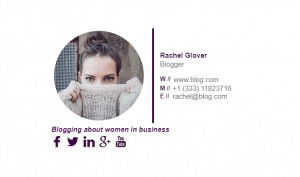 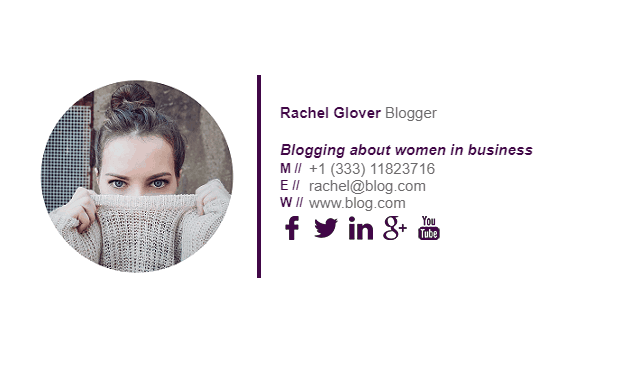 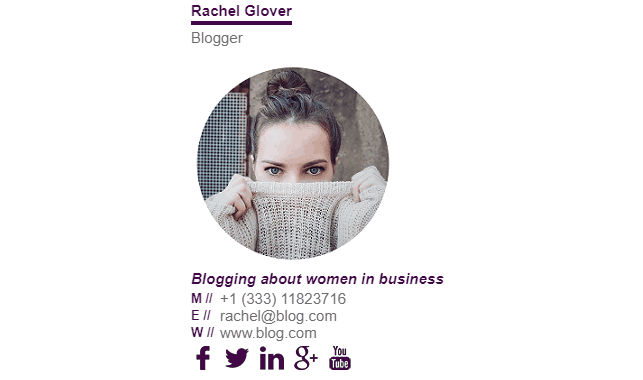 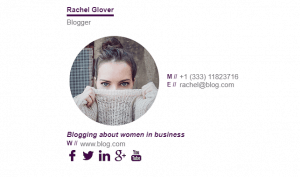 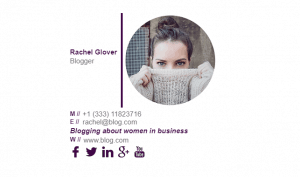 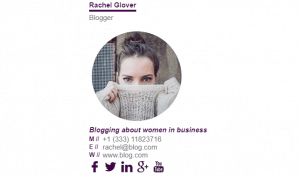 What Should Be Included in a Bloggers Email Signature?